The case arose when several Maryland residents represented by the American Humanist Association filed a lawsuit seeking the memorial’s renovation or removal in 2014. A three-judge panel of the 4th U.S. 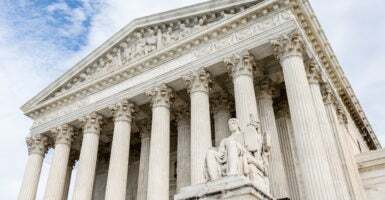 Circuit Court of Appeals found for the American Humanist Association in October 2017, concluding that the memorial was an unconstitutional government endorsement of Christianity. Oral arguments are scheduled at the Supreme Court for Feb. 27 and a decision is expected in June. Kevin Daley is a legal affairs reporter for the Daily Caller News Foundation.